Coneygree is the star name among 58 terrific entries for the £200,000 Grade Three Hennessy Gold Cup at Newbury on the second and final day of the bet365 Festival, Saturday, November 26. Staged over three and a quarter miles, the Hennessy Gold Cup is the richest handicap chase run in Britain this season before the Grand National (April) and is supported for the 60th time by Hennessy, making it the longest commercial sponsorship in racing. Coneygree (Mark Bradstock, 16/1 with bet365), winner of the G1 Cheltenham Gold Cup in 2015, was a leading contender for the Hennessy Gold Cup last year until being ruled out the week before with an injury. The exciting nine-year-old won twice over fences at Newbury during his Gold Cup season, including a fine display in the G2 Betfair Denman Chase. Ireland’s champion Jump trainer Willie Mullins is likely to be represented by improving chaser Avant Tout (10/1 favourite with bet365). Mullins was first past the post with Be My Royal in the 2002 Hennessy Gold Cup, only for the horse to be disqualified in controversial circumstances after testing positive for a banned substance. The six-year-old had brushed aside subsequent Galway Plate victor Lord Scoundrel in a three-mile G2 novices’ chase at Limerick on April 3 and then put up a fine weight carrying performance in a hotly-contested novices’ handicap chase at the Punchestown Festival later the same month. Steve Massey, racing manager for the Supreme Horse Racing Club, revealed: “Avant Tout is in very good order and it is all systems go for Newbury. “We think he will have a prep run at Naas on November 6 and then he will go straight there. “There was not much for him in between Punchestown and Galway so we decided to give him a break and focus on Newbury, especially as we feel he is more of a three-mile plus horse. We don’t think the trip will be a problem – he just stays and stays. “It is absolutely massive to have a leading contender for a race like the Hennessy. There are 12 people with shares in Avant Tout and they are all very excited. “Avant Tout was quite pricey as we bought him from France after he won first time out, but we always thought he was going to make a chaser. “He is only six and usually is a very good jumper. His form looks pretty good now as he beat Lord Scoundrel eight lengths (into fifth) at Punchestown, whilst giving him 7lb, and Lord Scoundrel went on to win the Galway Plate. There are eight Irish-trained entries in total for the 2016 Hennessy Gold Cup, with the rest split between Gordon Elliott and Noel Meade. Elliott has second-season chasers Outlander (16/1) and Roi Des Francs (40/1) among a five-strong team, while Meade has put in Wounded Warrior (40/1) and Monksland (33/1). Second-season chasers have a good record in the Hennessy Gold Cup and others who fall into that bracket include RSA Chase victor Blaklion (Nigel Twiston-Davies, 16/1) and Native River (Colin Tizzard, 11/1), who defeated Henri Parry Morgan (Peter Bowen, 16/1) in the G1 Mildmay Novices’ Chase at Aintree in April. Champion British Jump trainer Paul Nicholls has eight entries to choose from as he bids for a fourth victory in the race. They include Silviniaco Conti (25/1), Scottish Grand National hero Vicente (25/1), last year’s beaten favourite Saphir Du Rheu (25/1) and Virak (25/1). 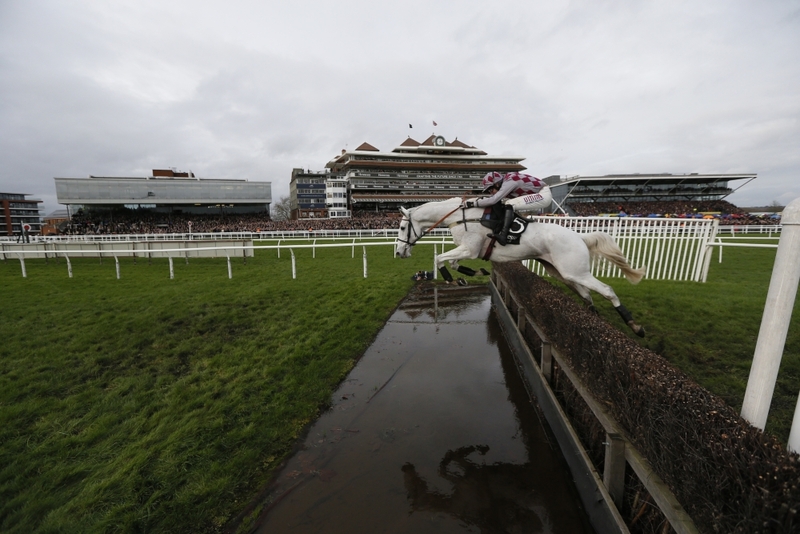 Smad Place (Alan King, 16/1, pictured) was an emphatic 12-length winner last year of the Hennessy Gold Cup and could bid to join an illustrious list of dual winners. Only three horses – Mandarin, Arkle and Denman – have won two Hennessy Gold Cups. Other eye-catching entries include Grand National runner-up The Last Samuri (Kim Bailey, 16/1), Sausalito Sunrise (Philip Hobbs, 20/1) and Seeyouatmidnight (Sandy Thomson, 25/1). Pat Cooney, Racing PRO for bet365, commented: “It looks a typically wide open Hennessy Gold Cup, but we’ve opted to make Avant Tout our 10/1 favourite. He impressed when winning at Punchestown in April, and his trainer Willie Mullins suggested the Hennessy may be his target after the race. bet365 odds Hennessy Gold Cup – 10 Avant Tout, 11 Native River, 16 Henri Parry Morgan, 16 Coneygree, 16 Outlander, 16 O’Faolains Boy, 16 Empire of Dirt, 16 The Last Samuri, 16 Smad Place, 16 Blaklion, 20 Sausalito Sunrise, 20 Un Temps Pour Tout, 25 Virak, 25 Seeyouatmidnight, 25 Third Intention, 25 Saphir du Rheu, 25 Bishops Road, 25 Vicente, 25 Holywell, 25 Silviniaco Conti, 33 Vivaldi Collonges, 33 Drumacoo, 33 Wakanda, 33 Southfield Theatre, 33 Triolo d’Alene, 33 Irish Cavalier, 33 Hadrian’s Approach, 33 Monksland, 33 Vyta du Roc, 33 Le Mercurey, 33 Coologue, 33 Onenightinvienna, 40 Oscar Rock, 40 Aubusson, 40 Houblon des Obeaux, 40 Regal Encore, 40 Roi des Francs, 40 Another Hero, 40 Wounded Warrior, 40 Le Reve, 40 Out Sam, 50 Local Show, 50 Wrath of Titans, 50 Milansbar, 50 Javert, 50 Otago Trail, 50 Theatre Guide, 50 Knock House, 50 Double Ross, 50 Midnight Prayer,50 Carole’s Destrier, 50 Upswing, 50 Thomas Brown, 50 Killer Crow, 50 Irish Saint, 66 Potters Cross, 66 Seventh Sky, 66 Un Ace. Weights for the Hennessy Gold Cup will be revealed on Wednesday, November 9. The new-look two-day bet365 Festival commences on Friday, November 25. Grade 3 Handicap Chase, £200,000 total prize fund. Newbury, Saturday, November 26. Three miles & two furlongs (3m 1f 214y). For four-year-olds and upwards. Penalties: after November 6, a winner of a chase 4lb; a winner of two chases 7lb; no penalty to increase a horse’s weight above 11st 12lb. Entries closed October 25, entries revealed October 26 (58 entries). Weights revealed November 9. Scratchings deadline November 15, five-day confirmation stage November 21, final declarations November 24. Maximum field 24 plus 2 reserves.